Hello everyone! I'm Brenda and I'm here today to share about my skincare essentials for travel! I've recently started my skincare journey with IDS and so far, it's been really wonderful. People around me have been complimenting my skin and telling me I've became fairer etc, and I'm extremely thankful for the IDS products that work their magic on my skin! I've been traveling rather frequently this year and in my recent trip to Bangkok, I'm glad to have IDS products to keep my skin healthy and well-protected from the harsh sun rays. The best part? 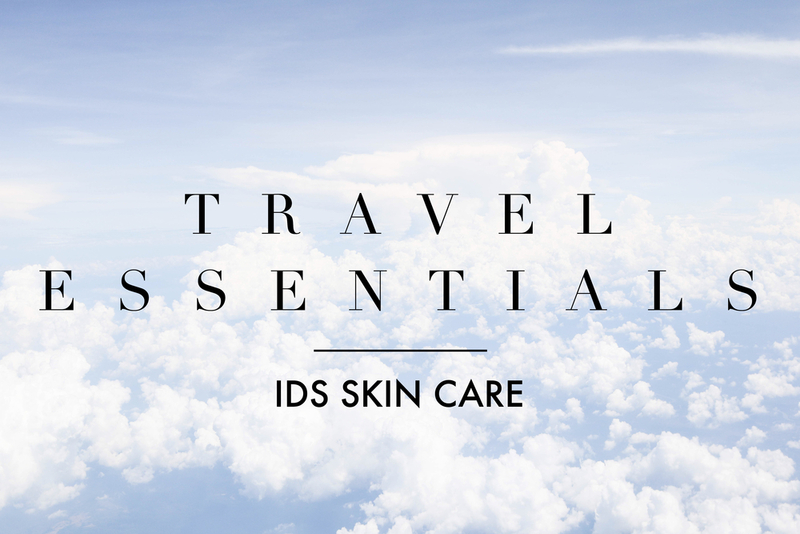 IDS products are all in <100ml bottles or containers, which means they fit snugly into your travel pouch and are perfect for travel. Speaking of which, the airport staff in Bangkok threw away my 115ml hair oil, but thankfully my IDS products are all safe with me! Anyhow, let's get started on my skincare essentials for travel! To be honest, I haven't been religiously cleansing my face with a cleanser since my previous cleanser ran out. I just used any cleanser I found in the washroom and let's just say it wasn't a very good idea as I quickly found myself having more blemishes especially on my nose and chin area. 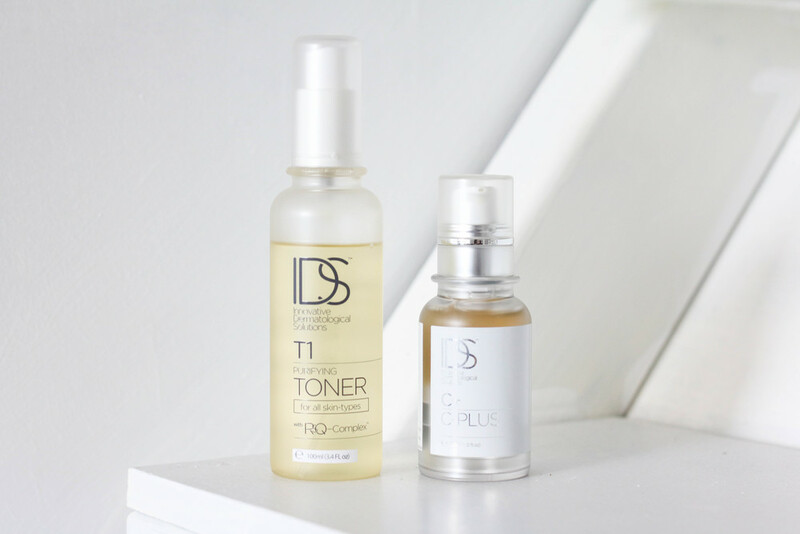 The IDS C2 Delicate Cleanser, as the name suggests, is indeed a gentle and delicate cleanser that is free of fragrances and doesn't tug harshly on my skin. I really like how it leaves my face feeling clean and soft, yet not squeaky clean and dry (do you get what I mean?). When traveling, the harsh weather conditions and cleanliness of the city may cause your skin condition to deteriorate. I avoid that by keeping my face free of dirt, dust and particles using the cleanser! I absolutely LOVE this facial scrub! I use it twice to thrice a week and it works wonders on my skin! I usually dispense just a tiny amount and work that in circular motion on my skin. The product warms up gradually and with the tiny particles gently exfoliating my skin, it feels like I'm having a comfy spa session at home. The best thing about this product is that my face literally feels like baby skin after use – it feels amazing. If I were to pick the IDS products I can't live without, this has got to be one of them! A toner works as an additional step after the use of cleanser to thoroughly remove all the remaining particles on your face before you carry on with your skincare regime. While many would dismiss this step in their skincare routine, I find it important as it somehow provides extra cleansing even after the use of a cleanser and exfoliator, allowing me to have a clean 'canvas' before I start my daily make up routine. As mentioned, especially in harsh weather conditions (Bangkok's weather was a killer! ), the toner ensures my skin is extra clean and free from all the dirt and dust particles accumulated! One of my holy grail products from the IDS skin care range has got to be the C-Plus! My skin is pretty dull and I have uneven skin tones, and the C-Plus has really helped improve my complexion and appearance of my skin in general. After religious use of C-Plus, I find my skin looking much brighter, radiant and naturally glowy. Thanks to the Vitamin C in the product, my skin tone is also much more even now and my dark eye rings are less obvious! This is also one of the top IDS products that I can't live without. The IDS AA works as a treatment for blemishes and dark spots – lightening blemish scars and reducing the appearance of them. Personally, I've been having more blemishes on my nose and chin area, possibly due to the use of random facial cleansers that didn't suit me. I've been applying the IDS AA on the dark spots and blemish areas and the appearance of the spots have definitely reduced significantly. I use the IDS Spot whenever I get new blemishes on my skin, and so far, it's been working wonders and personally, I find that it's rather potent and significantly reduces the appearance of my blemishes. I don't get many blemishes but when I do – especially when it's the time of the month – this is my go-to product to treat them! This is one product to bring during your travels as you may never know when you're getting a new blemish due to the weather conditions. The fact that the IDS Spot is so handy and quirkily shaped like a syringe is definitely a plus point! I've previously raved about this product on my Dayre and this definitely tops my list of holy-grail IDS products I can't live without. I've been taking the Lyco-White oral supplement for about one and a half months now, and I've been getting so many compliments from friends that I'm significantly fairer than before! I have always been tanned in my life and I hear too many of such "Omg Bren, why are you so tanned?!" statements, so hearing compliments about my fair skin is actually one of the best things that happened to me recently! One thing I absolutely love about this product is that it doesn't only whiten your face but the rest of your body as well – allowing me to glow from within. You can check out my Dayre post for before and after pictures! I'm not gonna lie – I never really believed in sunscreens despite countless of skin care specialists telling me "you should start putting sunscreen at a young age because the effects of the sun rays are really harsh!" It was not until the recent harsh weather conditions in Singapore and especially in Bangkok that made me realise how important sunscreen is! Throughout my Bangkok trip, I didn't have to worry about getting tanned or sunburnt because I had the tinted sunscreen on and religiously re-applied after every 2-3 hours. This tinted sunscreen gives me a bit of coverage on my skin and I'm not sure if you've seen on Snapchat but my skin looks especially glowy when I have the tinted sunscreen on. This product, coupled with the IDS Lyco-White, has improved my skin tone tremendously while protecting it from the harmful sun rays. 10/10 would recommend this especially if you're travelling to somewhere that is ridiculously warm and sunny! If you're not a fan of tinted sunscreens, IDS has a non-tinted sunscreen that has garnered a number of awards! And there you have it, my skincare essentials for travel! Trust me, the list seems long but all of these products fit snugly in a small skincare pouch, and that made my skincare regime so much easier as I just had to apply all the products in sequence! I've been using IDS skin care products for about a month now and I've gotten nothing but compliments for my skin so far. While these are my skin care essentials for travel, another product that I adore from IDS is the Diamond Dust Perfector (as reviewed on my blog recently). It's one product I find myself reaching out for especially when I'm prepping for a long eventful day ahead as there's no need to layer on multiple products to achieve the 'soft focus' look!